China is often a country about which Washington’s moralists get on their high horse. However, China’s “authoritarian” government is actually more responsive to its people than America’s “elected democratic” government. Moreover, however incomplete on paper the civil liberties of China’s people, the Chinese government has not declared that it can violate with impunity whatever rights Chinese citizens have. And it is not China that is running torture prisons all over the globe. For some time I have had in mind a realistic comparison of the two countries instead of the standard propagandistic comparison, but Ron Unz has beat me to the task (see, China’s Rise, America’s Fall andChinese Melamine and American Vioxx: A Comparison ). Unz provides a chance for an education. Don’t miss it. Unz has done an excellent job. Moreover, he cleverly understates the case for China and overstates the case for America so as not to unduly arouse the flag-wavers. Nevertheless, the conclusion is clear: The Chinese are less threatened by their “extractive elites” than Americans are by their counterparts. As for economic management, there is no comparison. Unz reports that during the past three decades China has achieved the most rapid rate of economic development in human history. Moreover, most of the new income has flowed into the pockets of Chinese workers, not to the one percent. While American real median incomes have been stagnant for decades, incomes for Chinese workers have doubled every decade for three decades. A recent World Bank report attributes more than 100 percent of the drop in global poverty rates to China’s rise. In the last decade China’s industrial output quadrupled. China now produces more automobiles than America and Japan combined and accounted for 85 percent of the increase in the world’s production of cars in the past decade. In 1978 the American economy was 15 times larger than China’s. In the next few years China’s GDP is expected to exceed that of the US. This is heady stuff providing astonishing details of how poorly Americans are served by their elites. America has failed, because political elites represent only the powerful special interests that write the country’s laws in exchange for funding the political campaigns of “lawmakers.” To divert attention from their failures, American elites point fingers at external scapegoats. China, for example, is accused of manipulating its currency. As Unz says, the scapegoating is political theater designed for the ignorant and gullible. America’s economists, or most of them, have so prostituted themselves that propaganda has become wisdom. Most Americans believe that if China would simply let the value of its currency rise more rapidly relative to the dollar, America’s economic woes would be at an end. It is beyond belief that any economist could think that Americans with stagnant and declining incomes would be made better off by a sharp rise in the prices of goods manufactured in China on which Americans are dependent, or that the US dollar’s role as reserve currency, the main source of American power, could survive such a manifestation of Chinese economic superiority. Americans associate lawlessness with unaccountable governments and view China’s government as unaccountable. However, Unz points out that it is the Bush/Obama Regime that has declared itself to be unaccountable to both US and international law. The demise of the War Powers Act and the Geneva Conventions, and the asserted power of the executive to imprison without trial or charges or to assassinate any American whom the executive thinks might be a “national-security threat” are indicative of a total police state masquerading as an accountable democracy. In America six-year old little girls who misbehave in school are handcuffed, jailed, and charged with felonies. (see, 10 Disgusting Examples of Very Young School Children Being Arrested, Handcuffed and Brutalized By Police ) Not even Hitler and Stalin went this far. Americans have lost control of the government, and governments that are not controlled by the people are not democracies. In America today, Social Security, Medicare, food stamps, and the entire social safety net are threatened by the vociferous desire for war profits by armament plutocrats and by financial institutions determined that ordinary citizens bear the cost of the banksters incompetence and fraud. Unz’s comparison of how the Chinese media and government handled the melamine or infant formula scandal and how the American media and government handled Merck’s Vioxx scandal is especially damning. It was China’s controlled media and unaccountable government that punished the infant formula wrongdoers, while America’s free press and accountable government allowed Merck to walk. Unz’s conclusion is that it is in America, not China, where life is regarded as cheap. It is an even more courageous act when no one wants to hear the truth. As Frantz Fanon said, "Sometimes people hold a core belief that is very strong. When they are presented with evidence that works against that belief, the new evidence cannot be accepted. It would create a feeling that is extremely uncomfortable, called cognitive dissonance. And because it is so important to protect the core belief, they will rationalize, ignore and even deny anything that doesn't fit in with the core belief." 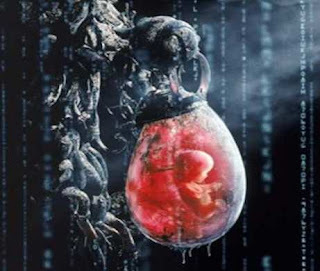 Or as it is explained to Neo in the film, "The Matrix is a system, Neo. That system is our enemy. But when you're inside, you look around, what do you see? Businessmen, teachers, lawyers, carpenters. The very minds of the people we are trying to save. But until we do, these people are still a part of that system, and that makes them our enemy. You have to understand, most of these people are not ready to be unplugged. And many of them are so inured, so hopelessly dependent on the system, that they will fight to protect it." Most of the people I know personally are not willing to be unplugged. I assume my readers are, so seize the opportunity to be further unplugged and read Ron Unz’s comparison of America and China. Then do what you can to unplug others.